It’s not a cat toy, it’s a cat sport. 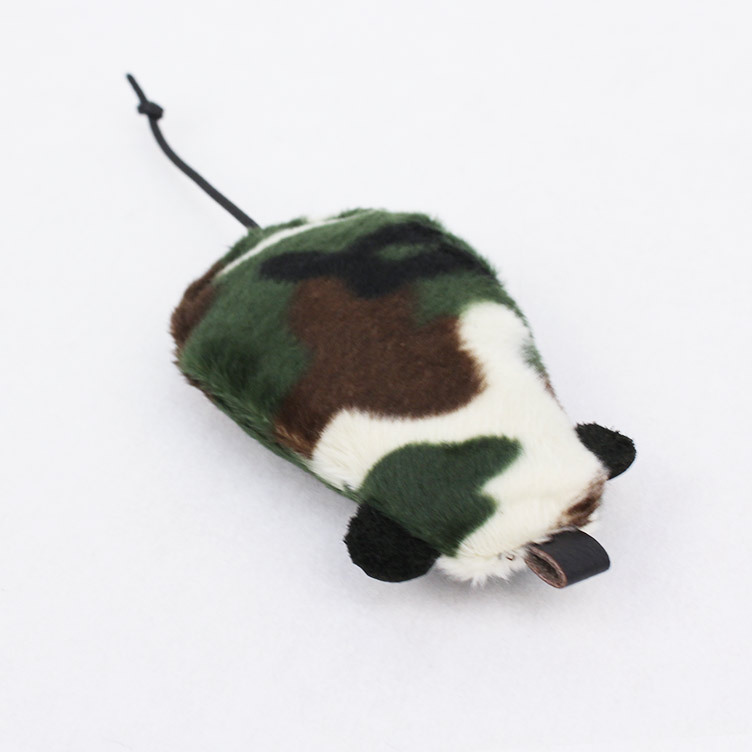 The Ferocious Friends Mouser™ is a finely tuned instrument of cat distraction, exercise and satisfaction. 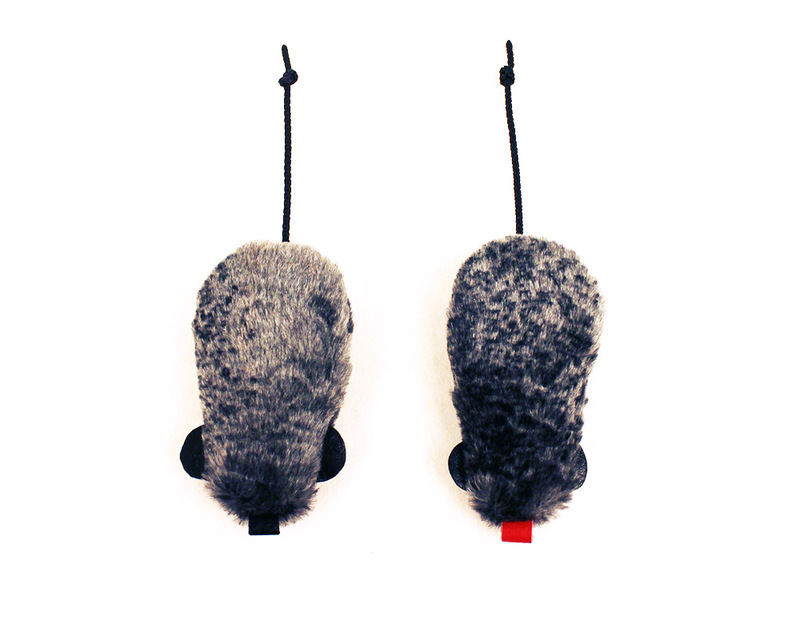 Quite possibly the last cat toy you’ll ever buy. Handmade in the USA. 36" Solid Oak Wand. Good Clean Fun - Doubles as a stand alone cat toy. Fur mice are more realistic and harder to sink claws into. All Mice are triple stitched and lined with cotton. Exercise your kitty to maintain healthy weight and engage the senses. 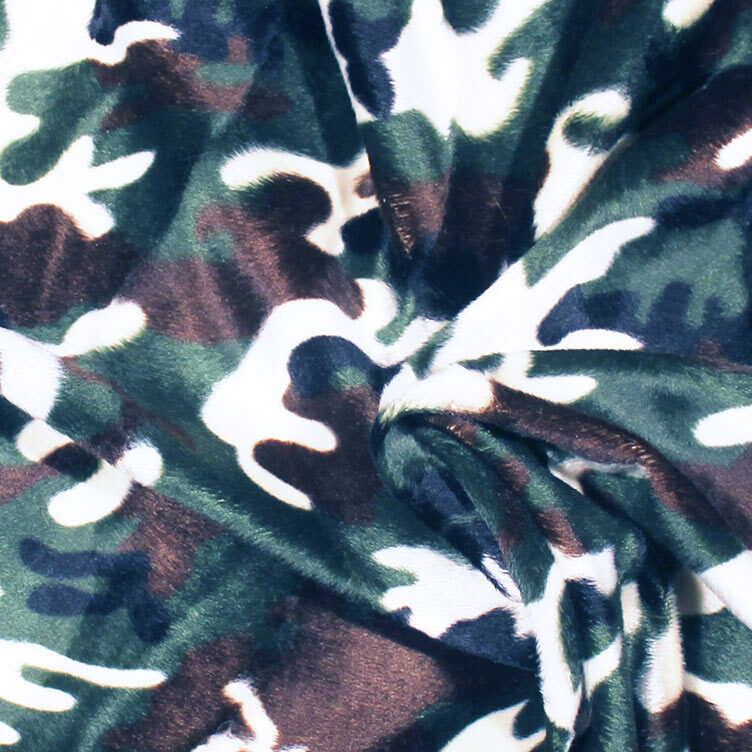 Encourage their natural hunting instincts to relieve stress and tire them out before bedtime - you'll both sleep better! Bond with your cat over mousetime, it might become your favorite part of the day too. Do think like a mouse - hide around corners, inside boxes, in boots, under chairs - just hide! Do move slowly if your cat is stalking - then move fast before kitty can POUNCE! Try to keep the mouse just out of reach. Do make scratching noises with the mouse to get your cat’s attention by moving it across paper, cardboard or carpet. Do play at least once a day. It will release kitty’s energy and it’s fun for people too! Do take breaks! The Mouser™ can make kitty tired, so watch for heavy breathing and take breaks when necessary. 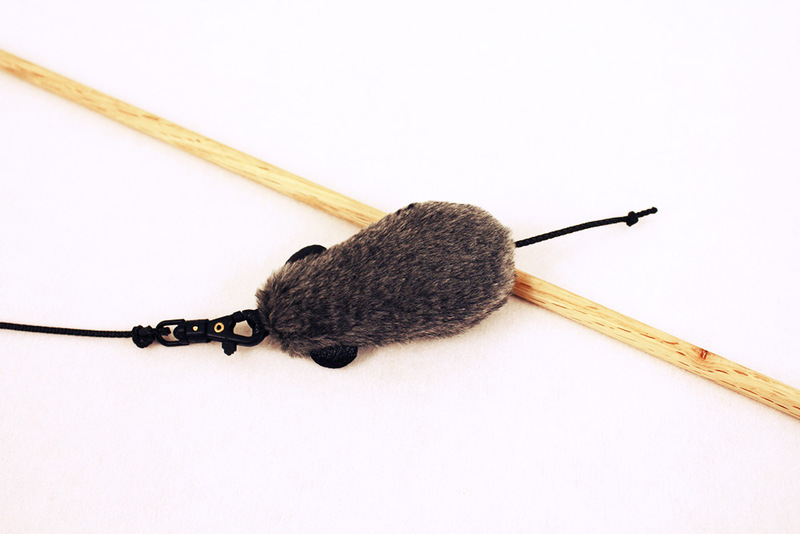 Do detach the mouse for solo play and safely store the wand out of reach of kids and kitties. Don't leave cats or young children unsupervised around the wand. The string could be a choking hazard and the wand could be a poking hazard. Don't Don't yank the mouse from your cat’s mouth or let kitty chew on the plastic clip - both could hurt kitty’s teeth. If your cat really wants to chew the clip, you can easily remove it by sliding the loop along the wand. Don't overdo it with the catnip - like many good things in life, catnip is best in moderation. Don't forget to videotape or photograph your cat in action and send it to us! We love animals. You love animals. Let’s help animals! We partner with charities devoted to our furry friends and donate 10% of each sale. Do you have a favorite animal charity? Tell us about it and they may be our next partner! I’ve seen cat wand toys before. What makes The Mouser™ different? A lot! We’ve both had cats our entire lives and owned lots of cat toys. They were awful! Short plastic wands, light string, skimpy feathers and cheap toys. Blah. 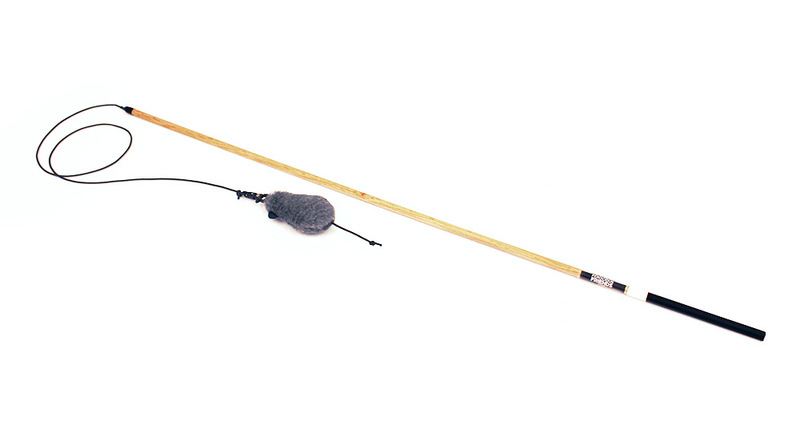 We made the first Mouser™ a long time ago by attaching a chewed up cat toy to an extra long pole with a long sturdy string. Our cats loved it more than anything we had, and an idea was born. All sales are final. The Mouser™ products are not returnable, however they are guaranteed against defects. If you find a problem with your Mouser™, send an email to contact@ferociousfriends.com and we’ll work to make it right. We ship USPS Priority 2-3 day shipping. Questions, comments, cat stories or cute pictures? We love ‘em! Send a message to contact@ferociousfriends.com and we’ll get back to you before Lulu wakes up from her nap. How is The Mouser™ made? With love, attention, and furry stuff. More specifically, we select the best oak dowels, sand them super smooth, and finish with a chew-friendly walnut and beeswax oil. We cut slots in the wand for a flush knot, tightly secure the abrasion-resistant nylon string, and heat-treat the connections. We cut the rubber handle for a comfortable grip. 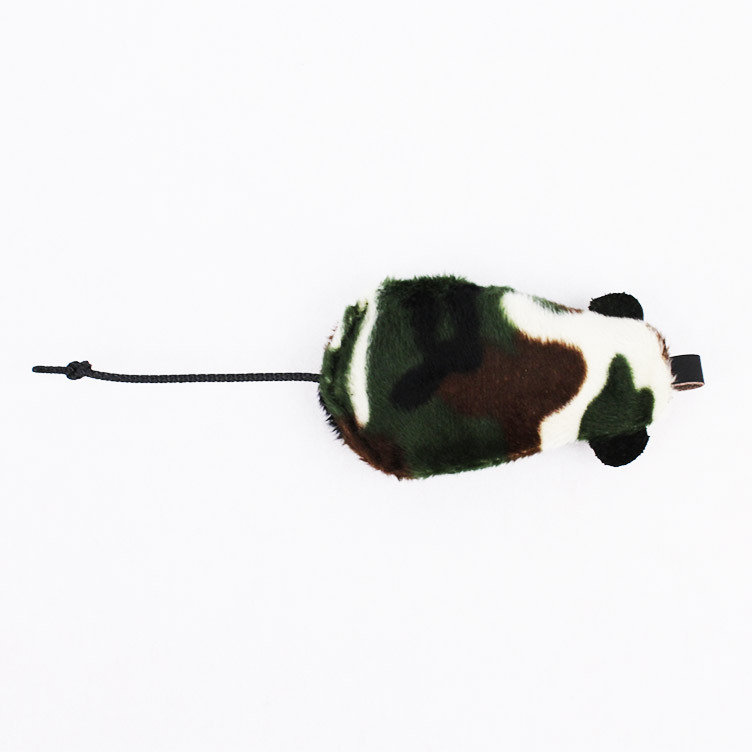 We make the mouse toys from scratch with faux fur, fleece, recycled leather, cotton lining and heavy duty nylon string. We triple stitch every corner for extra durability. Mousers™ are randomly spot checked by Smoke and Lulu; nothing gets by them. What’s the deal with catnip? Ferocious Friends uses 100% organic catnip - we want nothing less for our cats and neither do you. Can the toy be replaced? No problem! 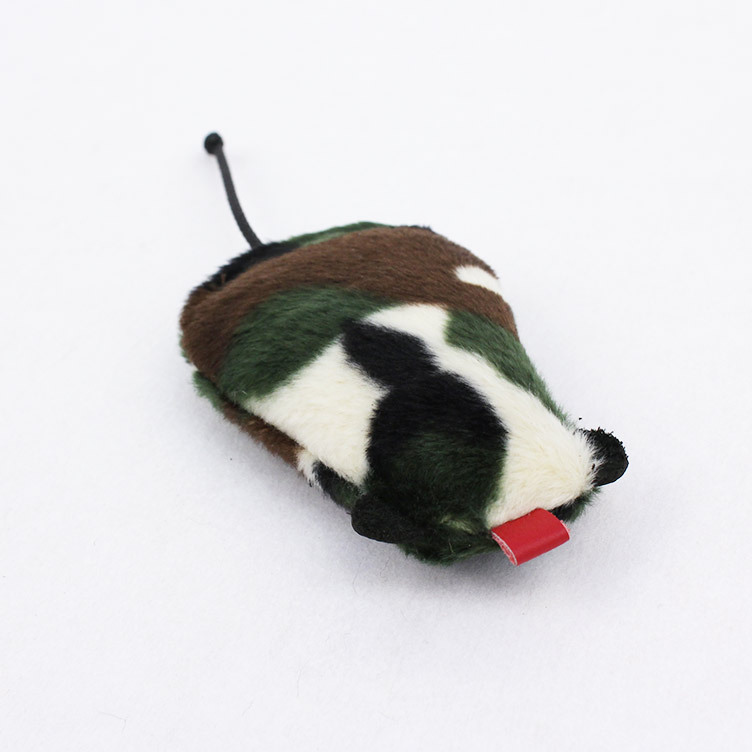 We have lots of mice to choose from - choose your favorite color, with or without catnip. Each mouse easily clips to the wand. I’ve bought both kinds of mice. How can I tell which mouse has catnip? We are a husband and wife team who live with our two kitties, Smoke and Lulu. The four of us worked together to create a toy that benefits humans and cats alike. Emily & Case worked on design and Lulu & Smoke lent their time to quality testing. We’re all very proud of the result and especially enjoy our daily mousing sessions. Follow us on Twitter or Facebook to see daily updates of Smoke and Lulu. Lulu, a.k.a. The Lu, is our older cat, we’ve had her about 5 years but we think she’s about 8. We became her foster parents when Case's sister moved down south. She doesn’t like large crowds but she does know every person in the 'hood. She lounges on the sidewalk and happily accepts scratches behind her ears from passersby. Her favorite nap spot is tucked away on the quiet bed, lounging in the sun. She likes the Mouser™, most especially from her perch on the couch where she can swat at it, King Kong style. Smoke is the star of our video. We think she’s about 2 years old. She was abandoned in an old cat carrier on our front door step. We decided to keep her before we saw her. She crawled out of the cage and flashed us her big blue eyes and we fell in love. After an appointment at the vet she was all ours. 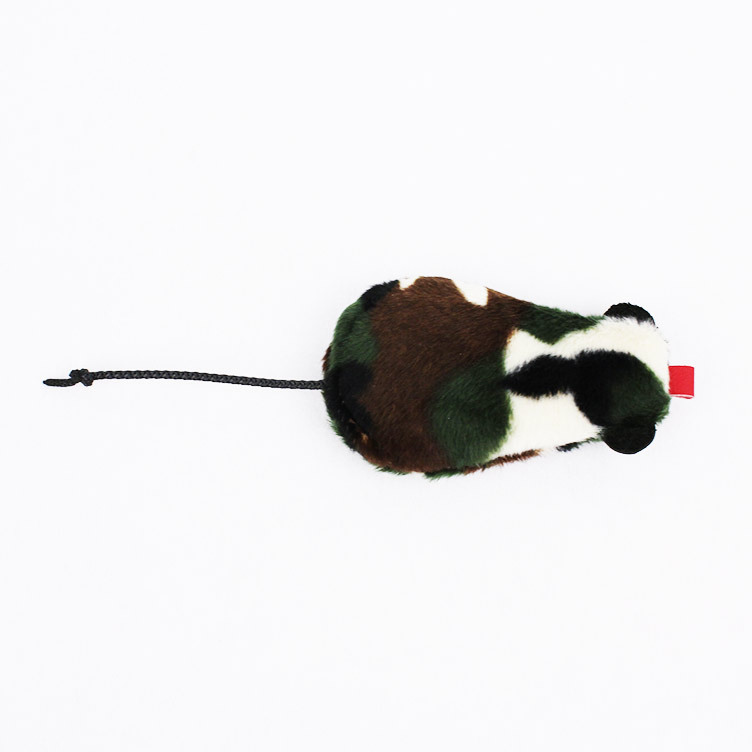 She inspired The Mouser™: Our neighbor’s dog chewed Smoke’s favorite cat toy and she wouldn’t touch it anymore. We attached it to a long pole and BOOM! She was off. An idea was born. © Copyright 2013 Ferocious Friends. All rights reserved.